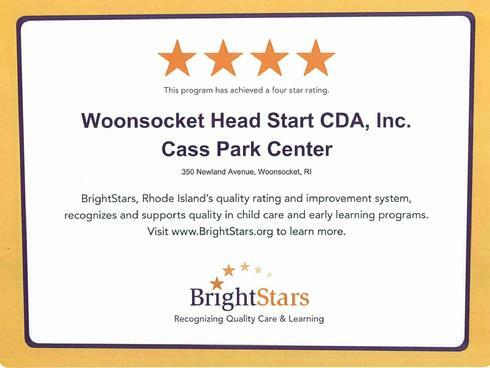 Woonsocket Head Start Child Development Association, Inc.’s early childhood centers are among the first in Rhode Island to be recognized by BrightStars for its commitment to providing high quality child care for children in the state. 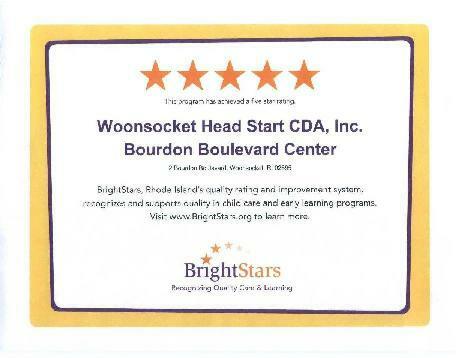 A BrightStars quality rating provides accurate, reliable information about program quality to families and the community. 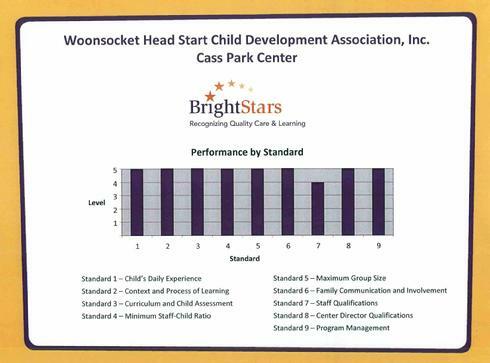 Child care and early learning programs participating in BrightStars use the BrightStars rating system to guide improvement and access quality improvement tools and resources. 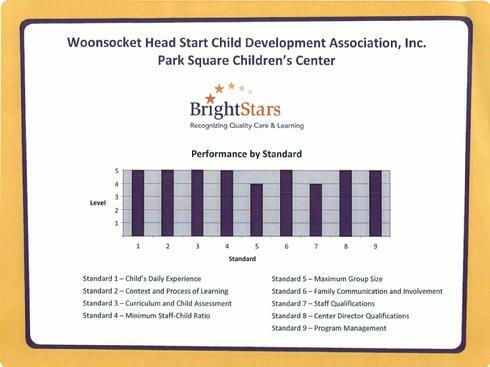 The BrightStars child care quality rating and improvement system was developed by a team of local early childhood and school-age care professionals and is based on national research on what constitutes quality in child care programs. 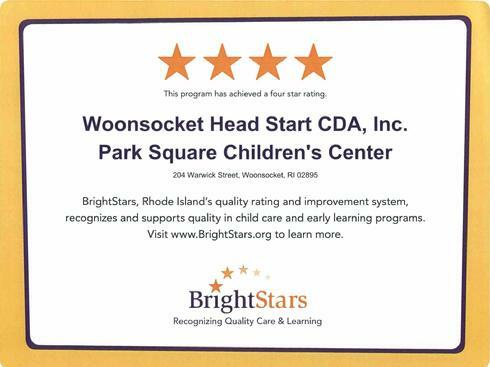 BrightStars is managed by the Rhode Island Association for the Education of Young Children (RIAEYC), a non-profit organization and the state affiliate of the National Association for the Education of Young Children (NAEYC). Visit BrightStars.org for more information.